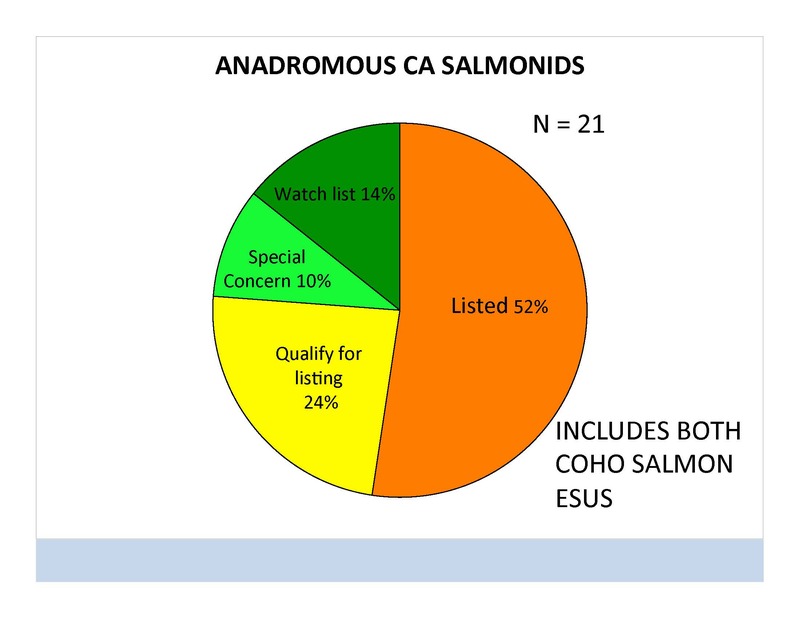 We don’t have to accept a future without salmon, but we need to take action now, says Dr. Peter Moyle, Associate Director at the UC Davis Center for Watershed Sciences. He laid out the six steps that the state can take to increase the resiliency and viability of salmon in the face of California’s changing climate at the California Salmon and Climate Variability Symposium held earlier this fall. 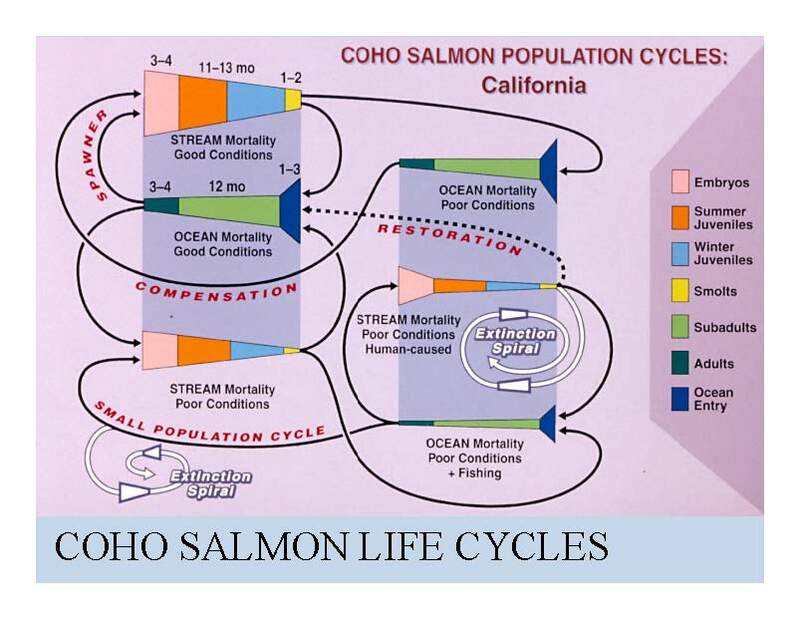 Dr. Peter Moyle began by presenting a diagram of the life cycle of the coho salmon, reminding of the marine-freshwater connections between salmon and the marine environment. “There are all these different cycles, and what happens with freshwater affects what happens in the marine environment and vice versa,” he said. He acknowledged the complexity of the diagram, noting it’s one he bases an entire lecture on in his class, so he next explained in simple terms it means. 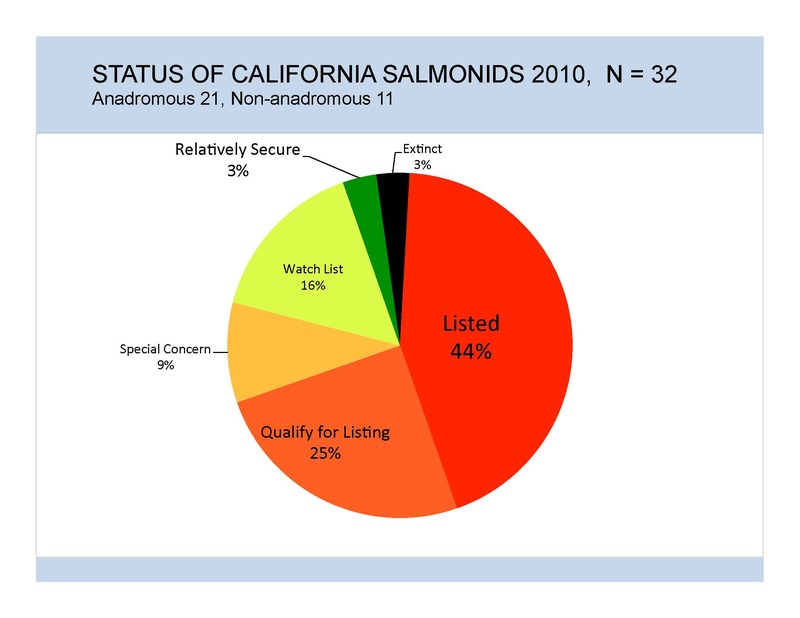 A paper came out recently which said most experts have concluded that by 2100, wild salmon in the Central Valley will be extirpated or minimally abundant if current trends continue, and a similar statement could be made for salmon on the coast as well, Dr. Moyle said. 1. Adopt a statewide strategy for aquatic conservation. 2. Protect the best of what’s left. 3. Protect spring-fed streams in the state and manage them for salmon. This shows you the Shasta River as it pretty much looks today, it’s an amazing place. This is not the way it looked a few years ago. ”Places like the Shasta River are just absolutely extraordinary when you get into those springs and look at the productivity which can be translated very readily into fish,” he said. Another success story is Big Springs Creek in the Shasta Valley, a tributary to the Shasta River. Cows used to graze in the stream in the winter because the stream was warmer than the air. The Nature Conservancy acquired the Big Springs Ranch in 2009 and fenced off the stream from the cattle, almost immediately, there was restoration of colder water, channels redeveloped and the vegetation came back, and the insects came back. “Again there are success stories out there of things we can do to improve the situation for salmon,” he said. 4. 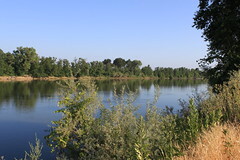 Restore and reconnect floodplains. 5. Improve environmental flows below dams. Coverage of Maven’s Notebook has focused on the freshwater science presented there, but it’s only a portion of what was covered at the symposium. Many more topics were presented, including a panel discussion with agency officials and stakeholder. I encourage you to explore the rest of the symposium at the link below. You can view videos and power points from all the presentations at the California Salmon and Climate Variability Symposium by clicking here.